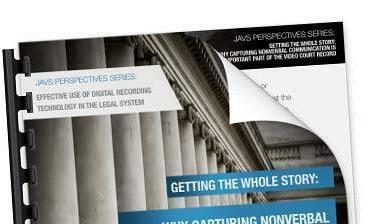 From portable audio recording to fully-integrated digital courtroom recording and more, JAVS is the trusted AV provider for over 10,000 installations worldwide. 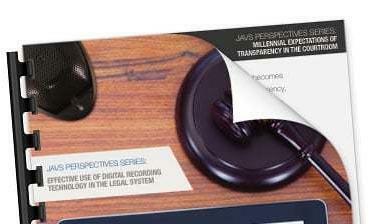 Whether as an official court record, or as an aid for court reporters, thousands of courts across the world use JAVS recording systems for cost-effective digital courtroom recordings. Handheld recording devices have their limitations and don't always offer the highest recording quality. 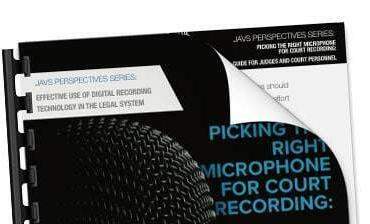 JAVS Core Line offers both a portable and reliable recording solutions on the go. Travel is costly. Provide an alternate means for inmates, witnesses, guest speakers, or attendees to have the highest degree of interaction without physically being onsite. 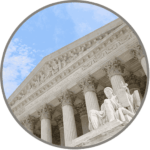 Evidence presentation can make or break a case. Our custom-built kiosks are made for physical and digital media presentations, and feed directly into our digital recorders. Our team stands behind our products - with a host of service technicians and live helpdesk support we can help you through just about any issue you may experience. At JAVS, we believe that it is everyone's basic, universal right to have an open, transparent society. The only way to preserve that right is through an accurate and accessible audio/video record of due process. 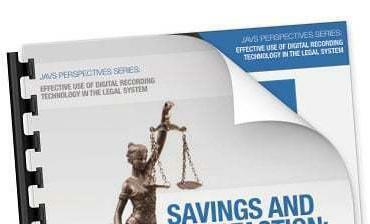 Wondering how digital AV integration and JAVS solutions can help your courthouse, agency, or group? Read more about it in our white paper series.